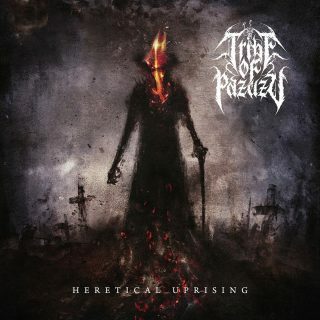 Tribe Of Pazuzu : Heretical Uprising album download | Has it Leaked? Tribe Of Pazuzu are a brand new project featuring Flo Mounier (CRYPTOPSY), John McEntee (INCANTATION), and Randy Harris (ex-MACIFICATION). The tribe are lead by mainman Nick Sagias (SOULSTORM, ex-OVERTHROW, ex-PESTILENCE). The debut EP, entitled 'Heretical Uprising' drops on February 8th.